December 2018 saw Christian Voices perform the new play Finding Room. We’ve now got the webpage for the play up where we describe the play, list the cast and even the programme. Follow the link to find out more about this seasonal (Christmas) performance. 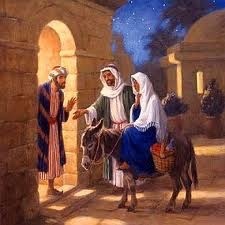 Who were the other people at the inn? What were their needs and challenges? It was a pleasure to perform and we hope that came across to all our audiences. Posted by christianvoicesbexhill on 13/04/2019 in News and tagged Christmas, New Testament, News, Plays.